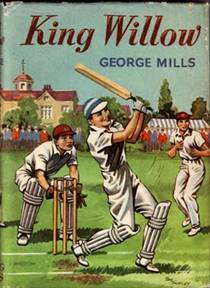 Who is George Mills? : Who Was Mr. H. E. Howell? Here in the States, we just love numbers that end in fives, but we love zeroes even more. And a number just isn't anything unless it ends in double or triple zeroes. 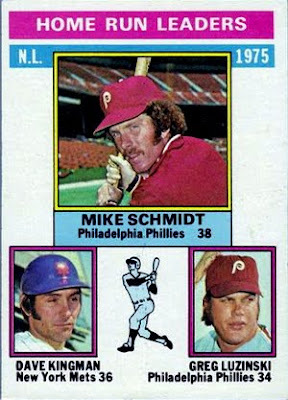 A baseball player with 99 career home runs is just a guy, as they say. A fellow with 100 home runs in his career—now he's something special! There was a news bit the other evening that the St. Louis baseball manager, Tony LaRussa, was the first since the legendary Cornelius McGillicuddy in 1950 to reach 5,000 managerial wins for his career. Of course, LaRussa was also the first one since then to reach 4,998 and 4,999, but they just weren't quite the same accomplishments, now, were they? 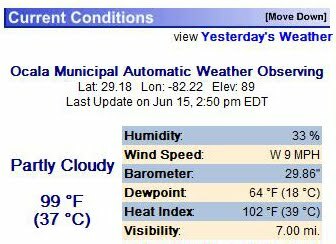 I say this because the temperature here in north central Florida is predicted to reach 99°F today, and despite the discomfort it will cause, there are those who will be disappointed if it doesn't touch the century mark! This all has nothing to do, however, with the topic of today's back burner item, although the word "burner" is clearly apropos. I wish to acknowledge, with much gratitude, the help and encouragement received from many friends; particularly from Mr. A. Bishop, the Head Master of Magdalen College School, Brackley, and from my old friend, Mr. H. E. Howell, who have read the book in manuscript form. I am also very much indebted to that splendid specimen of boyhood, the British Schoolboy, who has given me such wonderful material. First of all, wouldn't it be something were that original manuscript copy to turn up? Secondly, while I've closed the gap on the identity of Mr. A Bishop (and hope to write about that soon), Mr. H. E. Howell remains a mystery. The first matter of business in chasing down any such name is to try to tease a Christian name out of those initials. In this case, I'm afraid there is not even a very solid guess that I'd go to war with. Mills, I've felt, must have been writing Meredith in London, although that may not be accurate. Labouring, however, under that assumption, I scoped the London telephone directories of the era for a Howell with the first initial "H."
One name did jump out immediately: Hinds Howell, a physician who lived and/or practiced at 145 Harley Street, W.1. He certainly would have been well-schooled enough not to simply offer Mills a pat on the back about his book and to diagnose certain inadequacies. Also, that name "Hinds Howell" traces back into the late 19th century when a "Canon Hinds Howell, MA," resided at the Drayton Rectory—where Watkin Williams, friend and colleague of George's father, the Revd Barton R. V. Mills—once was located. However, the physician, Hinds Howell, turns out to be Conrad Meredith Hinds Howell (1877 – 1960), and clearly not an H. E. Howell. Now, I'm sure, the term "old friend" doesn't necessarily imply Howell's chronological age, but the fact that he and Mills had enjoyed a friendship that lasted many years. Where might they have met? Parkfield School? Harrow? In the neighbourhood at Kensington? Under the Colours? At Oxford? There was also a Hamilton Howell, who resided at 14 Norfolk Terrace in Brighton. Mills might have met him while teaching at Windlesham House and living in Portslade in 1925–26. Would that time frame characterize an "old friend" by 1933? In 1937, there are also a "Harry E." and a "Herbert E." among the Howells of London, along with our discredited "Hinds." But who are they? Our answer here clearly doesn't lie in the telephone book. One might assume Howell was a learned man, a man whom Mills would have trusted for advice of a literary nature. I'm sure Georges wife and perhaps his sisters also read his manuscript, followed by a hearty, "That's simply wonderful, George!" The men mentioned in the preface above, though, are likely men of letters who would have provided more of a practical critique. We find an H. E. Howell mentioned in the 1913 edition of The Devonian Year Book of the London Devonian Association. 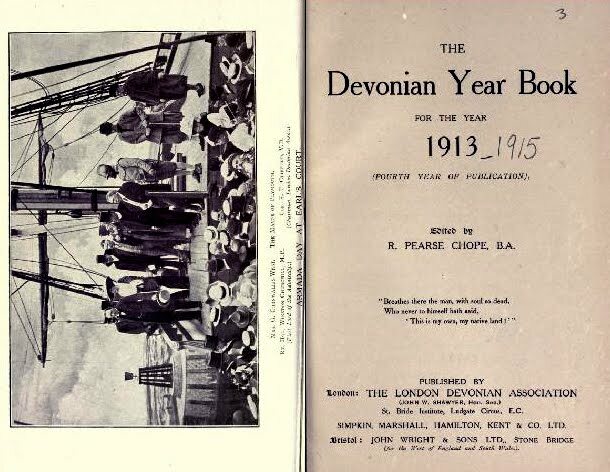 On page 25, there is a description of a re-enactment of the game of bowls being played when the "Armada" was sighted, and a speech was given in the Great Empress hall by Mr. Winston Churchill, First Lord of the Admiralty (who, in his remarks, announced he "sprang from a good old Devonian family" ), to the London Devonian Club, the Exeter Club, the Three Towns Association, the Barumites of London, the Ottregians, the Tivertonians, representatives of the Devonian Clubs of Southend, Southampton, Swansea, Newport, Portsmouth, etc., as well as "the men and women of Devon." Among the specifically named members of the company, on page 26, we find a "Mr. H. E. Howell." Besides honeymooning in and retiring to Devon later in life, George Ramsay Acland Mills had family in Devonshire that once owned vast amounts of the land: The Aclands. In 1913, those holdings had not been converted to the National Trust or sold, and Mills most likely was able still to avail himself of Acland hospitality during holidays away from both Cornwall as a youngster, and London as an older boy and young man. Devon is as likely a place for the "old" Howell – Mills connection as any. Perhaps they met there as children. Another reference teased out of the blizzard of information provided by the internet is this nugget [right], gleaned from The Liberal Magazine, volume 19, in 1911. It contains an item attributed to a "Mr. H. E. Howell" of "Brierley" on "April 19th, 1911" that reads: "Though Lord Beaconsfield had not the privilege of English blood himself, he was the greatest of English statesmen since the days of Pitt. In these days there was a curious renaissance of the Celt in politics. . . . There was a boiling-up of Celtic fervour, something like that last great effort in the early colonising days before King Alfred, which broke itself in useless fury against Saxon steadfastness on the despairing field of Brunnan- burgh." That "snippet" is all I can read on-line, but these words indicate the sort of learned man that George Mills might have relied on for advice, as well as friendship. It also isn't clear if the Brierley cited is in Yorkshire, Gloucestershire, or Herefordshire. Is there one in each? However, the dates here are instructive. Mills was born in 1896, and would have been 15 years old when the item above was written, and 17 when Churchill made his speech. If this is our "Mr. H. E. Howell," he is then quite probably at least a few years older than George Mills. And a location in Brierley—situated some 182 miles north of London—makes sharing a manuscript difficult in the days of no faxes, PDFs, or e-mail attachments. Perhaps the geography had changed a great deal by 1933. A 1911 U.K. census summary [above, left] shows no H. E. Howell in London or in Brierley—but one living in a cottage on Bath Road in the civil parish of Wells in Somerset with a female and another male. There is no other "H. E. Howell" in the census. Two men—Harry Howell and Herbert Howell—show up in "Brierley" (or at least in "Hemsworth/Yorkshire West Riding" in the 1911 census. Harry was born in 1883, some 13 years before Mills, in Plymouth, England. That would make him a Devonian! 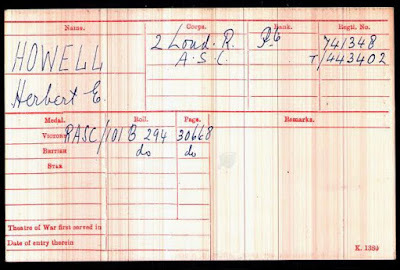 There is also evidence of soldiers named H. E. Howell having served. One was killed in action. 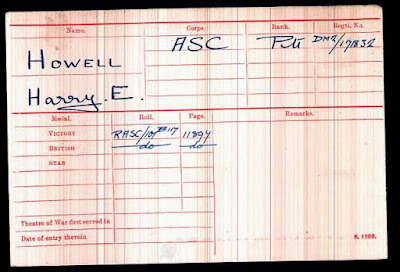 Records from World War I show [right] there was, however, a "Harry E. Howell" in the Army Service Corps—a A.S.C. private, just like George Mills—during the First World War. There is no other indication that this Howell is our man, however. 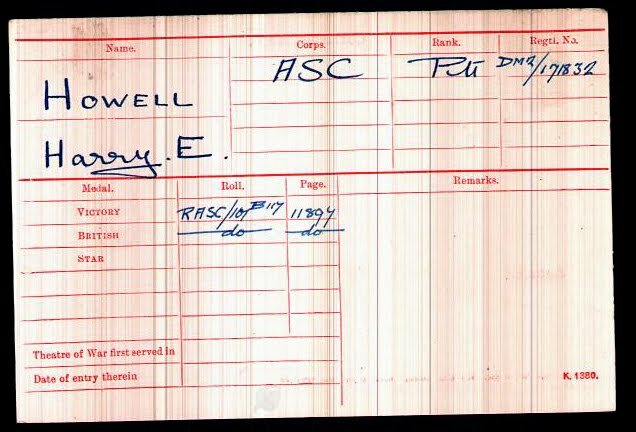 Another—very clearly listed as "H. E. Howell," with "Herbert E." added later—had been a gunner in the Royal Field Artillery corps from February 1915 until July 1917. He earned a couple of medals in France, but there are no remarks about wounds, death, or a forwarding address; simply: "Dis. 20. 7. 17." "Dis." would presumably mean "discharged"? Having been assigned to France, it is unlikely he's our man, Mills having served, but stayed in England. Let's get back to the Herbert Howell from the 1911 census. He was born in 1891, but I can't find a place of birth. 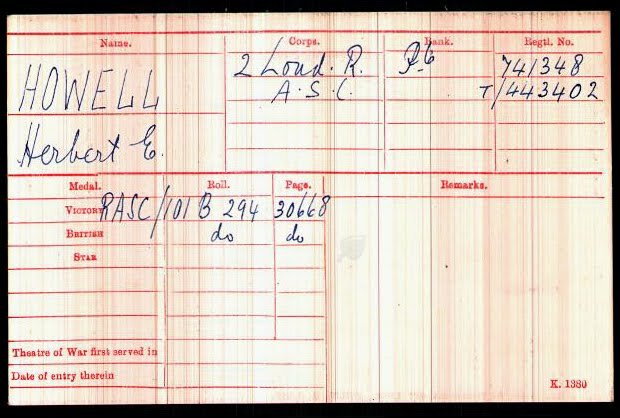 There's only one other Herbert E. Howell among the WWI records [left], and he served as a private, at first in the 2nd London Regiment, but then transferred to—you guessed it!—the Army Service Corps. Again, though, short of his initials and assignment, there's no real evidence that this is our man. After all, I suspect that the whole of the A.S.C. was comprised of more than, say, a couple of dozen chaps who all knew each other very well. So, where are we in all of this? According to the internet, the temperature here has reached a steamy 99, but the heat radiating from our sun-drenched back patio is causing the thermometer out there to read a even more sultry 106° F.
I know the heat isn't really on to discover the identity of this Mr. H. E. Howell, a man so obviously important to George Mills, personally and as an author, professionally. But I do want to. Right now, there's one more link to Mr. H. E. Howell that we haven't touched on, and it involves All Saints Margaret Street Church, Father Basil Jellicoe, Magdalen College, and the identity of the Mr. A. Bishop mentioned in the preface.